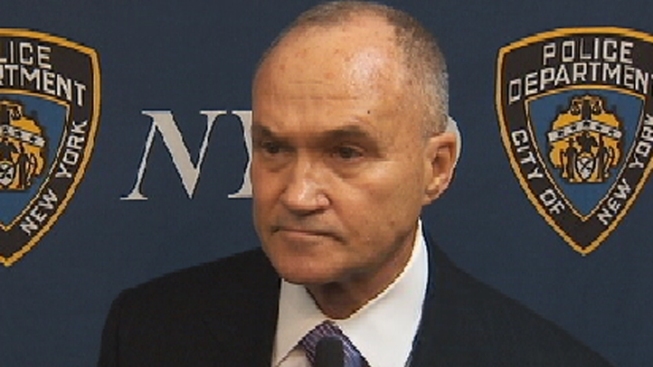 Police Commissioner Ray Kelly speaks to reporters Friday. The NYPD is investigating whether police officers showed favoritism to a Bronx prosecutor by sparing her from a drunk driving arrest. Police allegedly voided a December 2009 driving-while-intoxicated arrest of prosecutor Jennifer Troiano, according to accounts in Friday's Daily News and New York Post. "We're investigating that allegation," said Police Commissioner Kelly on Friday. "So far we haven't been able to find anything in the records about that supposed stop or bringing that individual into the station house. It's being investigated by our Internal Affairs Bureau." The reputed break given Troiano came to light after she was charged with driving while intoxicated and reckless driving in August 2010, the reports said. Troiano, 34, appeared in court Thursday on the latest case and refused to speak to reporters. Her lawyer, Howard Weiswasser, said Friday that "there was absolutely no 2009 incident, DWI or otherwise, involving Ms. Troiano." A spokesman for the Bronx district attorney said Troiano has not been disciplined because she hasn't been convicted of any crime. She has worked in the DA's office for the past six years. The Bronx DA is leading an investigation into allegations of widespread ticket fixing by as many as 40 Bronx police officers.